Shorty’s faves make a comeback on Sonoma diner menu – J.
It’s a circumstance that anyone could face: You’ve been winetasting around Sonoma and are feeling a bit dehydrated; you crave some hearty food to counteract all those tannins. 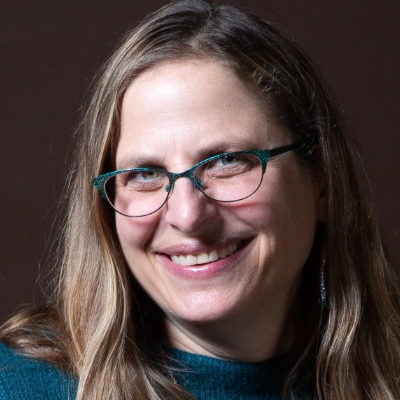 You check in with yourself and think, “What I really want is some matzah ball soup, chopped liver, maybe a pastrami sandwich.” But you’re in Sonoma, some 30 miles away from the nearest Jewish deli. Now, with the November opening of Mint & Liberty Modern Diner, you won’t have very far to travel to satisfy those cravings — especially since the executive chef of this “modern diner” recently ran a highly regarded Jewish deli. 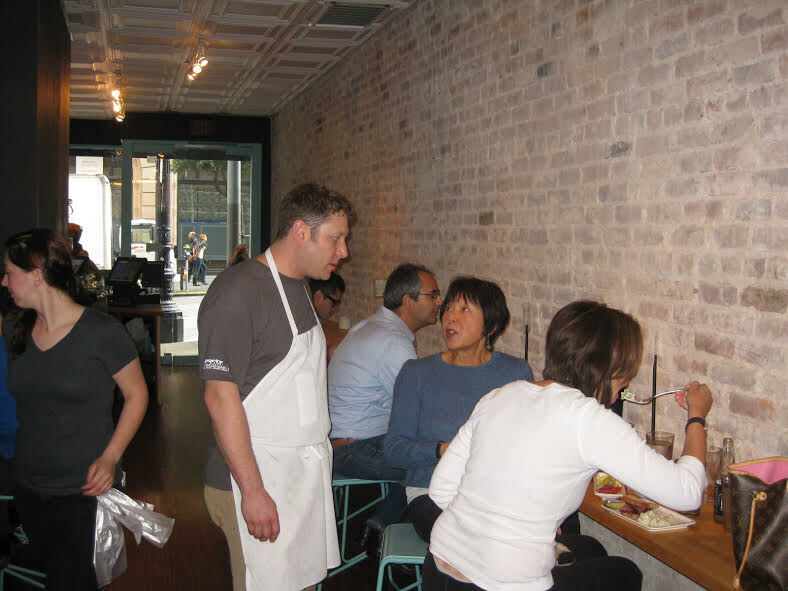 Michael Siegel is former chef-owner of Shorty Goldstein’s, which from 2013 to 2017 was a much-loved Jewish deli in San Francisco’s Financial District named in memory of his great-grandmother. The decision to close Shorty’s was a difficult one, he said, with costs for meat being a major factor. Also, midway through the deli’s run, Siegel and his wife left San Francisco for Sonoma so she could be closer to her job in the wine industry, and he started commuting into the city. Now he lives five minutes away from work. 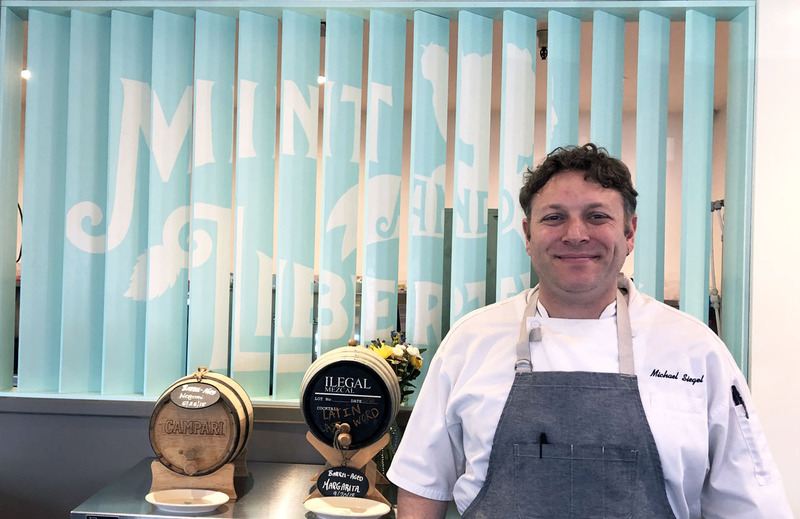 Mint & Liberty is owned by the Sunflower Caffé family, but as executive chef, Siegel’s imprint is all over the menu. The chopped liver at Mint & Liberty is his grandmother’s recipe, and he calls it “chopped liver for beginners.” This taster — who loves chopped liver — would agree, as it has a higher hard-boiled egg-to-liver ratio, which was how Siegel’s grandfather preferred it. It is served with some decidedly cheffy and not-at-all Jewish accompaniments: onions deeply caramelized in red wine; vinegar-pickled fennel, flaky salt and house-made mustard, all to be spread on toasted challah. Siegel’s house-made pastrami recipe is the same one he used at Shorty’s, now with American Wagyu beef. 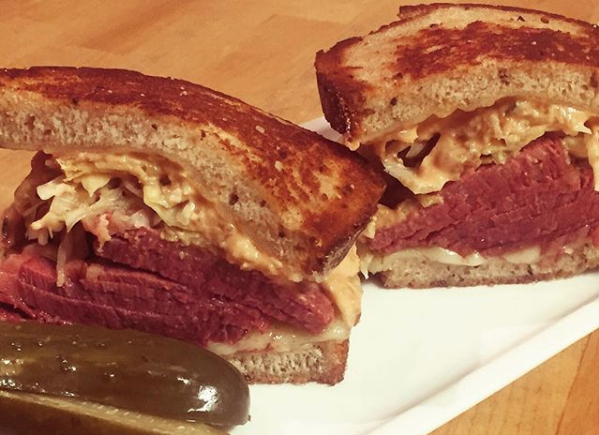 He serves it in a griddled sandwich called “the Rachel,” another carry-over from Shorty’s — it’s like a Reuben but with coleslaw replacing the sauerkraut. While the sandwich is on the wetter side, which makes for messy eating, the pastrami flavor is outstanding; my dining companion loved it so much he wanted it without its accompaniments, plain, on rye. The dish on the menu that will please traditionalists most is the matzah ball soup. There are no fancy accompaniments, no California twists. Just two giant matzah balls (floaters) in a bowl of flavorful, clear chicken broth that any bubbe could proudly claim as her own, with pieces of chicken, carrots, celery and fresh dill. You know it has to be good when your waiter volunteers that before he began working there he didn’t know from matzah ball soup (paraphrasing is mine), but now it’s one of his favorite things on the menu. We also appreciated the California-meets-Middle East roasted beet salad, which comes with sunflower and lentil sprouts, with a shmear of labneh on the plate and za’atar sprinkled on top. Since the diner’s opening, Siegel reports, the Jewish items have proven to be popular on an expansive menu that also includes corned beef, pork belly, pierogi and Tucson cheese crisp (the city where Siegel grew up). Diners are a mix of locals and tourists. Siegel is quite sure his is the only establishment in Sonoma proper serving this kind of Jewish food.